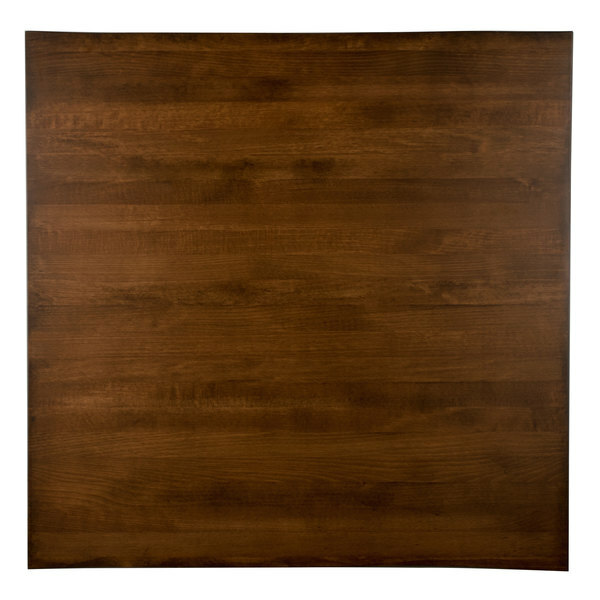 Combine beautiful wood with reliable durability by choosing Lancaster Table & Seating's 36" x 36" solid wood live edge table top with antique walnut finish. Thanks to its solid beech wood construction, this table is sturdy enough to handle the wear and tear of everyday use in your restaurant. Its underside includes v-shaped metal braces that prevent the wood from warping, ensuring that you can use this table top longer. Plus, its shape provides guest with ample room and a sturdy surface to enjoy their meals.